#55 Mind spell is a term for a spell that is considered to affect a creature’s mind. The following spells are mind spells: Berserk, Blind, Forgetfulness, Frenzy, Hypotize, Mirth and Sorrow. 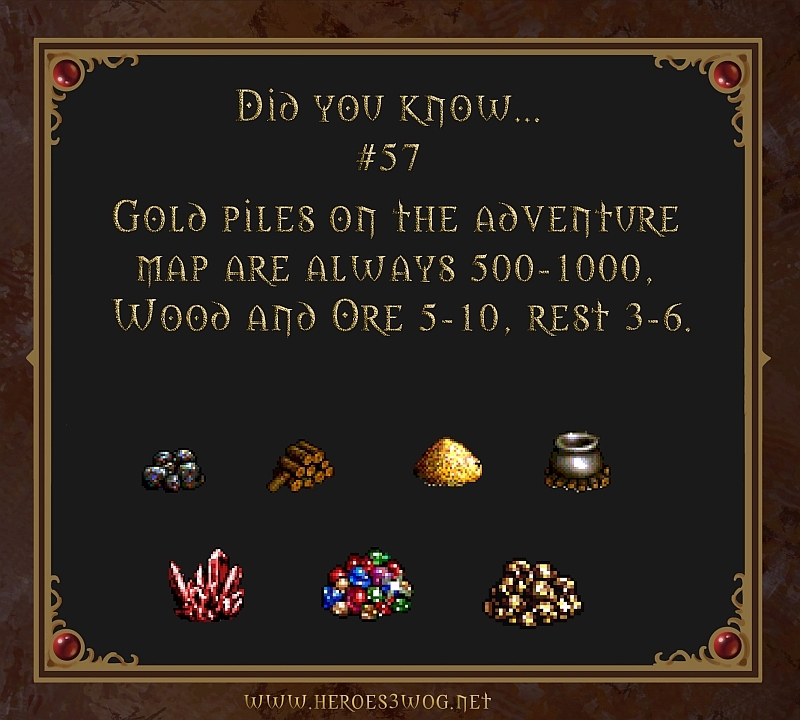 #57 Gold piles on the adventure map are always 500 – 1000, Wood and Ore 5 – 10, rest 3 – 6. 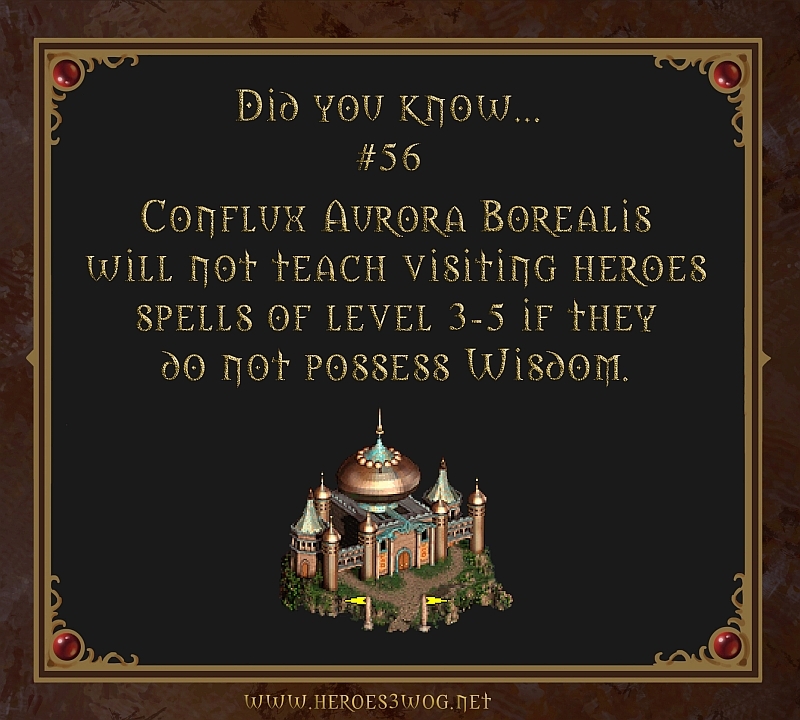 #56 Conflux Aurora Borealis will not teach visiting heroes spells of level 3-5 if they do not possess Wisdom. 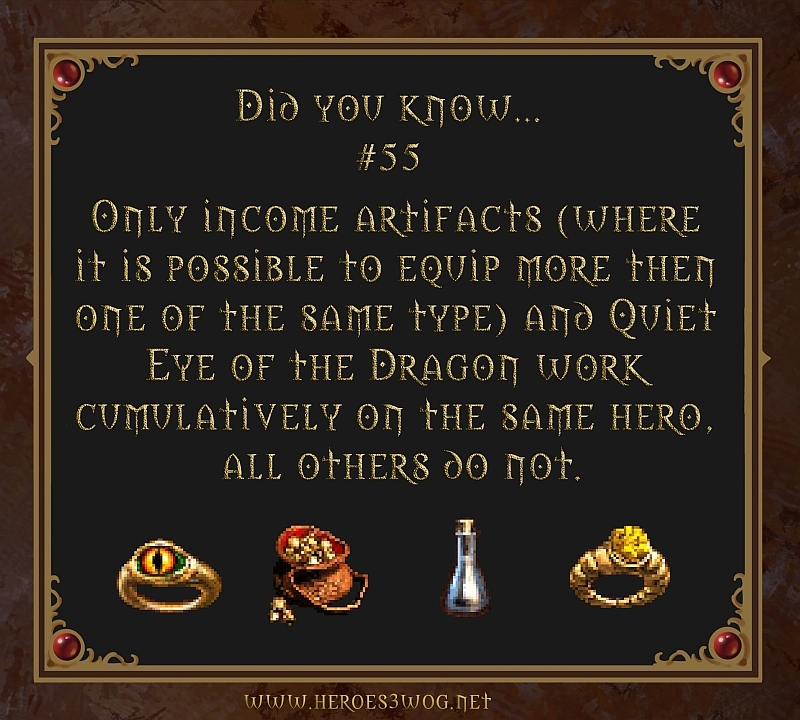 #55 Only income artifacts and Quiet Eye of the Dragon work cumulatively on the same heroe, all others do not.